Hi ! My name is Apollo, like the Greek Sun God, though I am a bit shyer and modest than a typical Greek god. I know I'm a handsome young guy, but I don't flaunt it. My early start in life was not so great and I saw way more heartache than any young rabbit should have to endure. But it's amazing what love and good care can do. 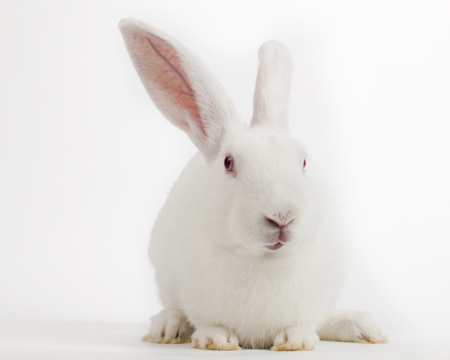 I was rescued as part of a large group of rabbits living without proper food, water or care in a San Jose neighborhood. I'll spare you the terrible details, but not all my rabbits friends were as lucky as me. I was fostered by a great family with two girls who gave us SO much love. I never knew life could be that good! I am now healthy, neutered and ready to find my forever home. Please visit me soon and I really hope you'll choose me!